Live Coverage from the Loose Rocker Flat Out Gaskets Liberty Classic goes live Friday morning 9 am E.S.T. 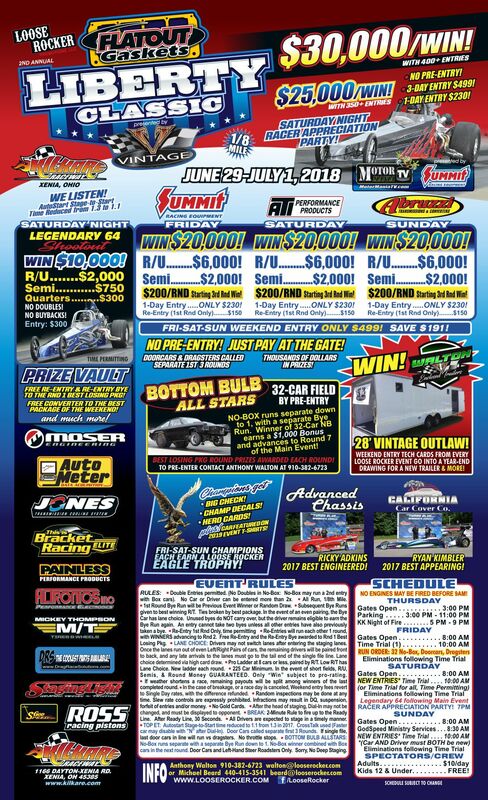 and continues thru the weekend at Kil-Kare Raceway in Xenia, Ohio. Scroll to bottom for event flyer.